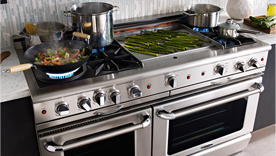 POWERFUL GAS BURNERS AND ELECTRIC OVENS. THE BEST OF BOTH WORLDS. You'll never know how well you can cook – or what delicious results you can achieve – until you cook on a Capital Cooking range or BBQ. Capital Ranges look and perform, like professional ranges. That’s why several popular cooking shows on the Food Network such as Chopped and Top Chef use them in their competitive kitchens. 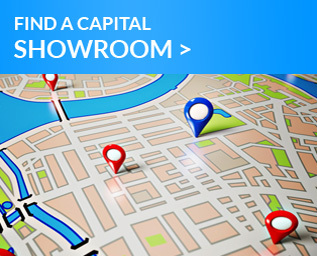 Find the Capital Cooking appliance or accessory by selecting an option below.